I have been on a mission the last few days to get some of my Christmas baking out of the way and I am pleased to report that it going quite smoothly so far. Tyler was even greeted this morning with his favorite special treat at breakfast-time. (He had been anticipating them since Monday.) 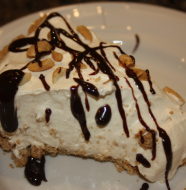 I love being able to cook and bake and have it be relaxing. This time for cooking is how the holidays are supposed to be in my opinion. I am so glad that this year it is relaxing for me. While I still have no idea what I will be giving teachers this year, I at least know anyone who shows up at my house will have several yummy treats to enjoy. 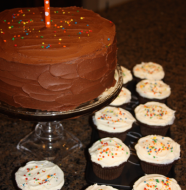 I have to give credit to my father-in-law Mike for helping with these treats. 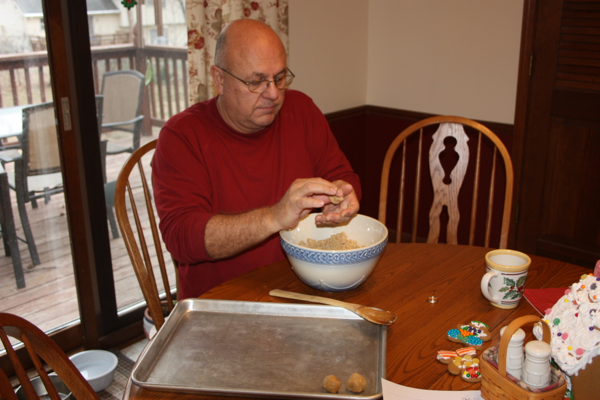 I half jokingly mentioned to him on Saturday that he should make peanut butter balls while they were visiting. (This is normally his job during the holidays, but we will not be with them this year. 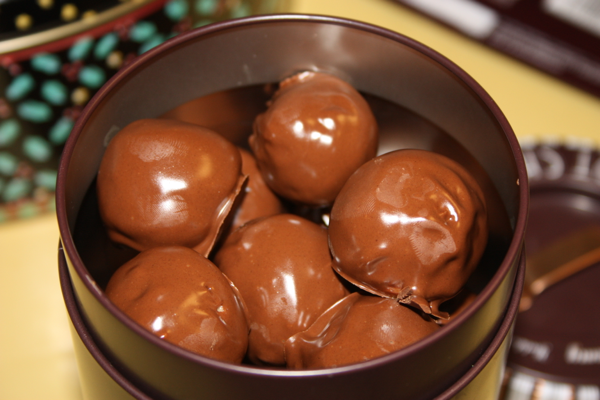 Still–I didn’t want to miss the opportunity for peanut butter balls!) He was more than happy to stir up the mixture and together we rolled out the balls. The rolled out balls spent several days in my refrigerator before I was able to find a block of time to get them dipped. Thankfully, I found the time. So one more goody has been marked off my list and I have Mike to thank! Maybe sharing some of the responsibility and kitchen time with family and friends is why my baking this year has been so stress free. Maybe that is the secret to keeping Christmas baking as a time of relaxing and enjoyment not just one more thing to check off your already to busy to-do list. Measure the Rice Krispies and then crush them. Melt butter. Combine melted butter and peanut butter together. 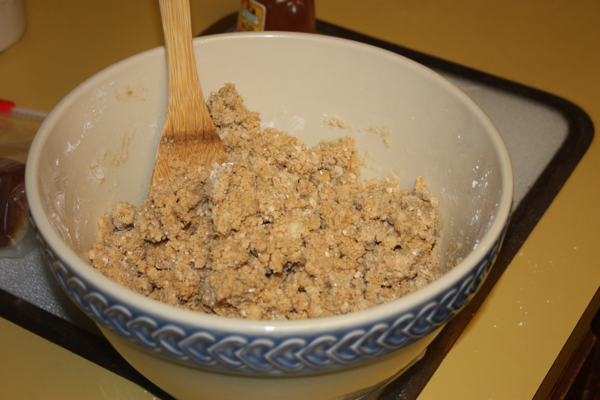 Add the powdered sugar, and crushed Rice Krispies to the peanut butter mixture and stir until well combined. 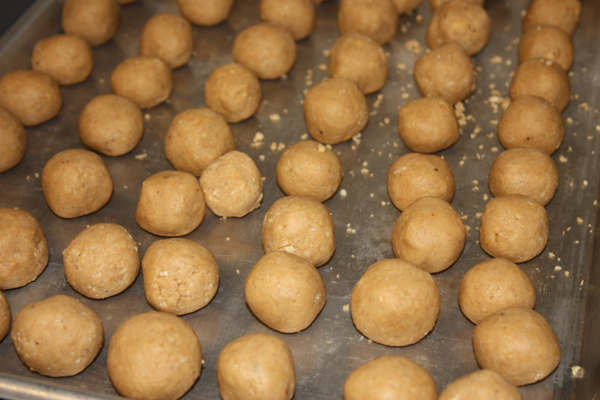 Once you have brought the mixture together by hand form the mixture into small balls. Place the shaped balls onto a sheet pan, cover and refrigerate until ready to dip. Melt the paraffin in a double boiler over low heat. 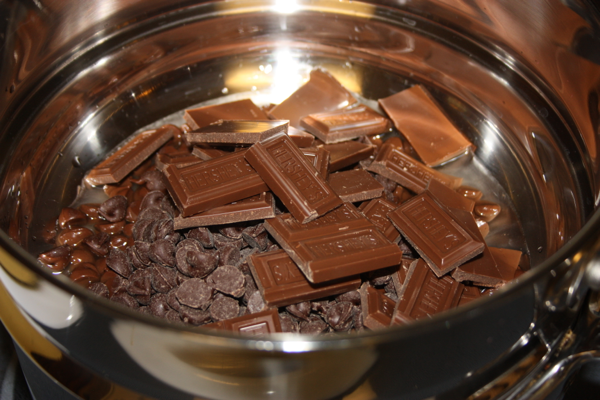 Add the milk and semi-sweet chocolate and stir until melted. Dip the balls in the chocolate two or three at a time. 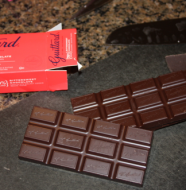 (I like to use a fork to roll them in the chocolate and then to remove them from the chocolate mixture.) After the balls have been dipped let the harden on waxed paper or parchment. Store in a airtight container. Peanut butter mixture ready to be made into balls. It is best to get volunteers to help roll out the balls. Finished dipping now setting up. 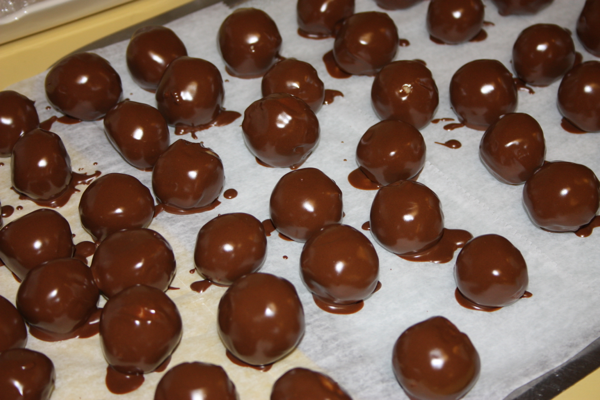 One Comment on "Chocolate Peanut Butter Balls"
Mom made these for Christmas vacation and they were such a treat!